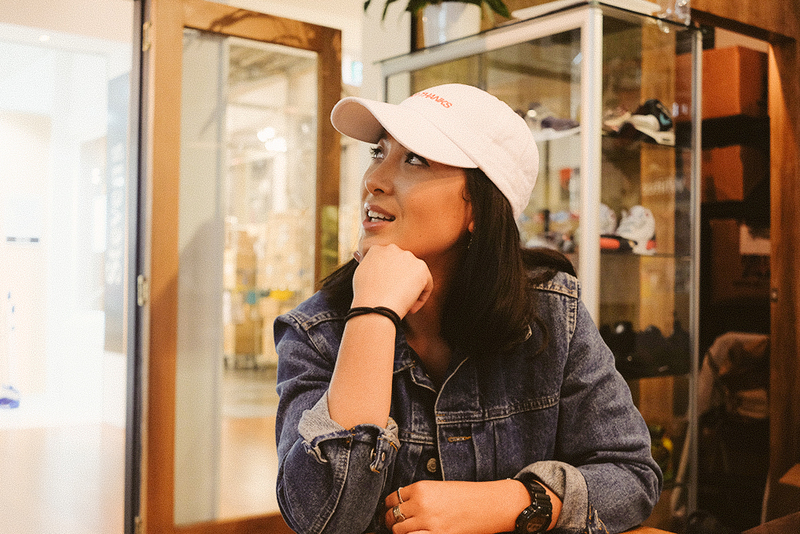 Eliza Trubuhovich : Travel Enthusiast, Long Haul Flight Attendant And Co-Owner Of The Men’s Heritage Streetwear Store And Art Gallery ‘Parlour’. My Dad is Croatian, my Mum is Filipino. I’m Kiwi, but a lot of the time, I’ve been finding myself just saying I’m Filipino a lot recently. And I think that’s because of my trip to the Philippines recently. I feel really Filipino. When I’m back home, I’m like, yeah, I’m a kiwi, because I love New Zealand so much. Definitely when I’m overseas and I’m meeting other foreigners, I will say I’m Filipino, just without even thinking. I identify with Filipinos so much more I think, the way they live is quite inspiring. I’m just really proud of being Filipino, [my pride] has grown heaps. I think because this recent trip to the Philippines was a lot longer, and I was a lot older. I think the last time I went was when I was 16, so I didn’t have a lot of appreciation for workmanship or any of that kind of stuff. I don’t know much about my Croatian side, because that’s old blood. My Dad calls himself a kiwi, and the only reason I say Croatian is because of my last name. People are always like, ‘that’s not a New Zealand last name’. I haven’t been there. I want to, because I’ve heard it’s really amazing. It’s on the to do list. Travel and fashion is always going to be a part of me. I promote travelling so much, I honestly want everyone to travel. I find that in America, young kids in America don’t really travel outside of America, because they’re only taught about America. I reckon if more people travelled when they’re young, there probably wouldn’t be so many problems in the world, not so much ignorance, [more] open-mindedness, understanding of everyone. Everyone tends to leave Auckland, because of something we’re missing. But it’s because all the amazing people keep leaving! Why don’t we just try and set something up here, so people can start showcasing their work? Parlour is not just a streetwear store, we’re utilising the space as a gallery, a listening party – people can use this freely, just to create a vibe, a movement, and opportunity for people. Fashion pays the bills, but we want it to be a destination store. Every main city around the world has a destination store, where people can hang out, and you say, ‘Oh my god, have you been to this store?’ Where people are friendly, they’re not just trying to sell you something. When you’re younger you tend to, not hate, but you criticise everyone. But now, I don’t criticise anyone. I think that’s really important, the more you let go of that, the happier you are too. I’m happier with myself, as well I think. That’s probably a big part too. Once you’re happier with yourself, you don’t really have a reason to diss anyone. I really appreciate life, and I fully preach to everyone to do what they want to do. I feel like Aucklanders hold themselves back from a lot. Or they feel like they can’t do it. I don’t really understand why people think like that, but they shouldn’t. Sometimes I wish I studied as a backup, and I think people should do it. But I don’t think it’s a necessity anymore. The world is so social, that it’s about who you know now, anyway. If someone can see that you’re good at something, they’re gonna pick up on it. The other thing I’ve learned is that the world is really, really small. So be good to people, be kind.